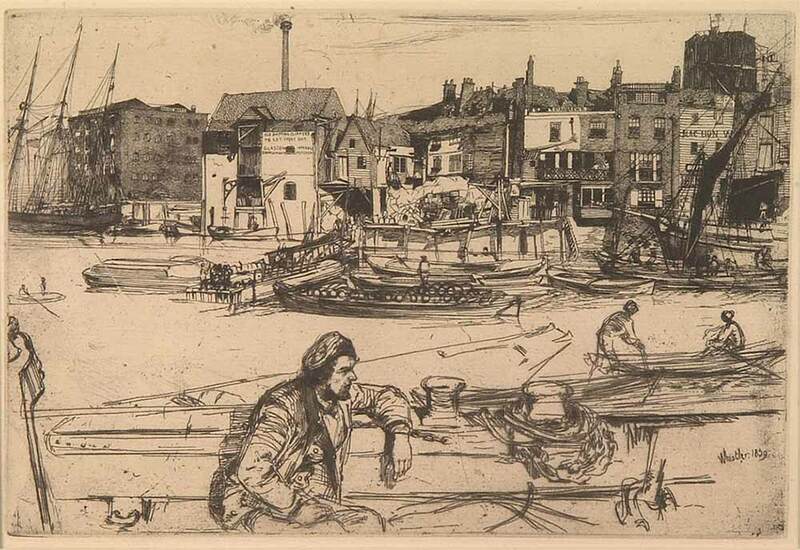 “In an exhibition of etchings, the etchings are the last things people come to see,” joked James Abbott McNeill Whistler (1834-1903), America’s premier etcher. 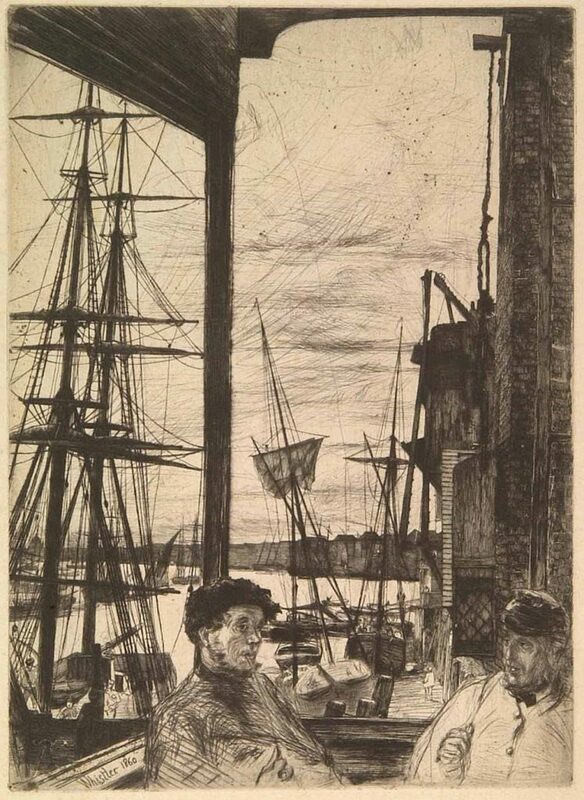 In truth, the etchings that Whistler himself created were incredibly popular. They awed the public, critics and fellow artists alike. 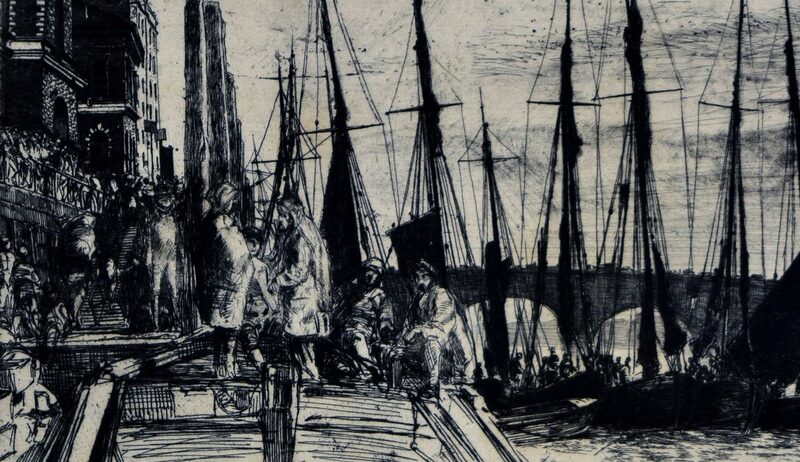 Whistler’s talents earned him a reputation for being among the most influential and internationally respected modern etchers. The prowess and technical innovations he brought to the medium sparked a renewed interest in this centuries-old printmaking method. This installation of American etchings celebrates Whistler’s achievements. It also showcases the wide-ranging possibilities of etching during the American Etching Revival of the late-19th and early-20th centuries and beyond. James Abbott McNeill Whistler, American (1834-1903). Black Lion Wharf, 1859. Etching on paper, Overall: 5 15/16 x 8 13/16 inches. Purchase: William Rockhill Nelson Trust, 33-284. James Abbott McNeill Whistler (American, 1834-1903). Rotherhithe, 1860. 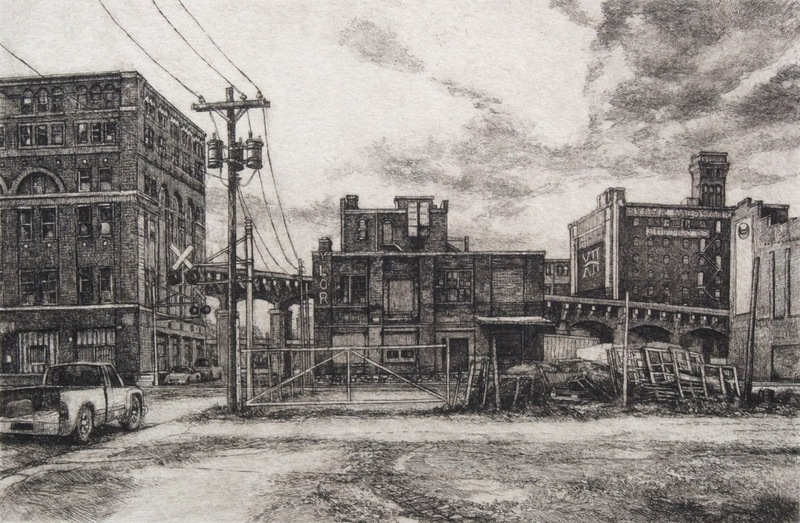 Etching, Overall: 10 13/16 x 7 3/4 inches. Purchase: William Rockhill Nelson Trust, 33-290. 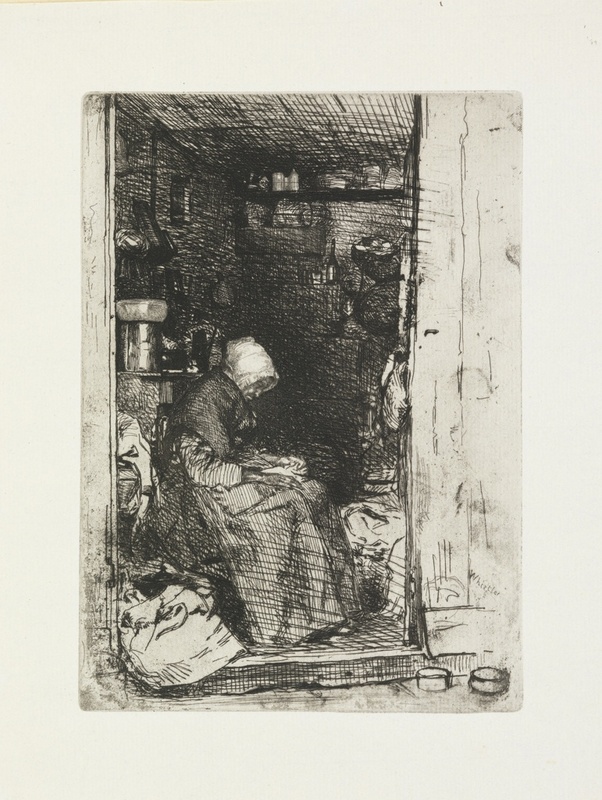 James Abbott McNeill Whistler (American,1834 – 1903) La Vieille aux Loques (The Old Rag Woman), 1858, etching and drypoint, state: iv/iv, Gift, Kathryn M. Klingeman, 2006.4.1.